Jon Oâ€™Connor, Bay Club at Mattapoisett Course Superintendent, is hard at work with his team to have the course ready to open when conditions permit, perhaps as early as, April 2nd. 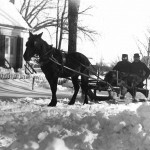 The weather this past winter was typical of what one would expect in New England, entirely unpredictable! Â A blizzard, harsh winds, driving rains, and a spring Norâ€™easter all blew through Mattapoisett; however, none of this has fazed Oâ€™Connor or proved detrimental to the course.Â Varying degrees of brush cutting and tree trimming were necessary, some of which was storm related yet there is no turf damage. Oâ€™Connorâ€™s objective is always to keep the course at a championship level and it sounds like we are on our way to another successful year. Jon Oâ€™Connor holds a BS in Turfgrass Management from the College of Agriculture and Natural Resources at Michigan State University, he has worked as a course superintendent in the Midwest and on the East Coast for over twenty years. Click here to read more about Jon’s work at the club. 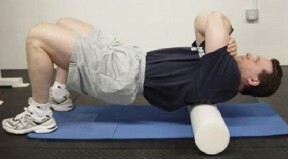 Foam-rolling technique, called self-myofascial release (SMR), works similarly to massage therapy. The only difference is that rather than a therapist applying manual pressure to your muscles, you apply your body weight to the foam roller. The idea is to seek out tender spots or scar tissue, also known as knots or trigger points, and then roll your body over the foam roller to massage the tight spots to improve flexibility and relieve pain, pressure, and inflammation. Experts differ on the best technique: placing acute pressure on a painful spot and holding for 20-30 seconds, general massage to the area or a combination of both.Â Either before or after your workout to help prevent sore muscles this technique is safe to do daily. If you have never performed SMR, you need to ask one of our personal trainers for a demonstration of proper SMR technique. The general idea is to place the roller on the floor and sit, lie, or prop the muscle on top of it, then adjust the amount of pressure applied by supporting some of your weight with your hands or legs. Foam rolling is most commonly performed on the upper back, glutes, hamstrings, adductors (inner thigh), quadriceps, calves, and iliotibial (IT) band. Let your body weight do the work! If you have chronic muscle pain and soreness it is worth your time to give SMR, for a real treat, book a massage with Deb, who specializes in myofascial massage! Seth Mendell, local historian,Â and popular guest lecturer to the members of the Bay ClubÂ will share the Mattapoisett Historical Societyâ€™s glass slide collection at the Golf House restaurant April 22. Glass lantern slides were developed in Germany in the 1850â€™s and â€œMagic Lanternâ€ slide shows were very popular through the turn of the century. Seth will give a detailed narration of each slide which depicts life in Mattapoisett in the late 1800s. Soon the Men’s Tuesday Night Bay Club Golf League will be back in action, until then, men, join your fellow poker players as we host Men’s Night Out at the Sports and Activities Center for a great night of poker. The evening begins at 6:30 pm with a catered meal prepared by Chef Jim Mercer and his crew. The menu includes Chicken Paprikash and Homemade Spaetzle, Garlic Green Beans and a Salad of Escarole.Â Dessert and game snacks are also included.